School Governors come from every walk of life. There are over 300,000 school Governors in England and they form the largest volunteer force in the country. There are no registers of interest. Governors are the largest volunteer force in the country and have an important part to play in raising school standards through their three key roles of setting strategic direction, ensuring accountability and monitoring and evaluating school performance. The role of the governing body is absolutely key to the effectiveness of a school. 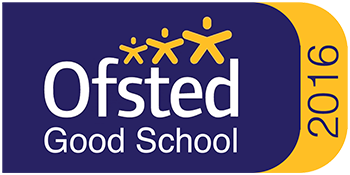 Time and time again Ofsted (the national inspection body for schools) has noted that the most effective schools demonstrate effective leadership and management – including by the governing body. There are different types of school with different categories of Governor. Almost anyone over 18 years of age can become a Governor. There are no particular qualifications or requirements, other than a willingness to give time to the role and a capacity for working with other people. The Governors’ role is not about fundraising, neither it is about cheerleading for the school – though Governors might do both those things. School Governors provide strategic leadership and accountability in schools. Governors appoint the head teacher and are involved in the appointment of other staff. In some schools the site is owned by the governing body. It is Governors who hold the main responsibility for finance in schools, and it is Governors who work with the head teacher to make the tough decisions about balancing resources. You can contact the School Governors One Stop Shop, which recruits Governors nationally by following this. You can contact your local authority. Foundation trust – a type of foundation school. Academies & City Technology Colleges (CTCs) – independent state funded schools. Who are appointed in different ways. Within limits, governing bodies are free to determine their own size and membership. Regulations specify how many Governors schools should have in total (between 9 and 20) and also what proportion of Governors in each category the different types of school should have. View dates of meetings and Governor attendance.